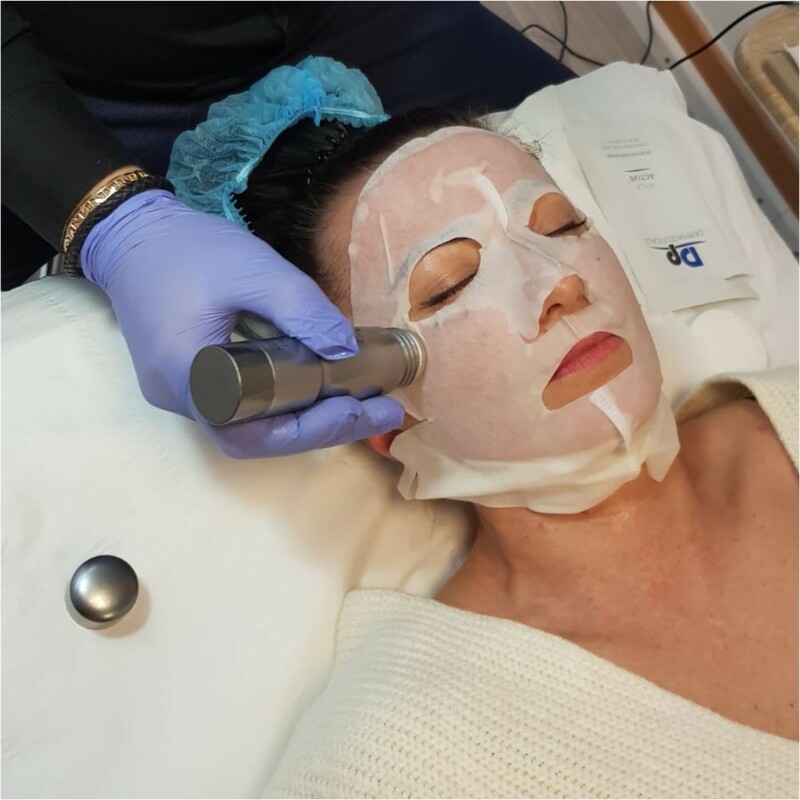 Remove scarring or stretch marks, fine lines and wrinkles or simply naturally rejuvenate the skin through Microneedling using a Dermapen, the treatment circling Hollywood and much loved by celebrities. 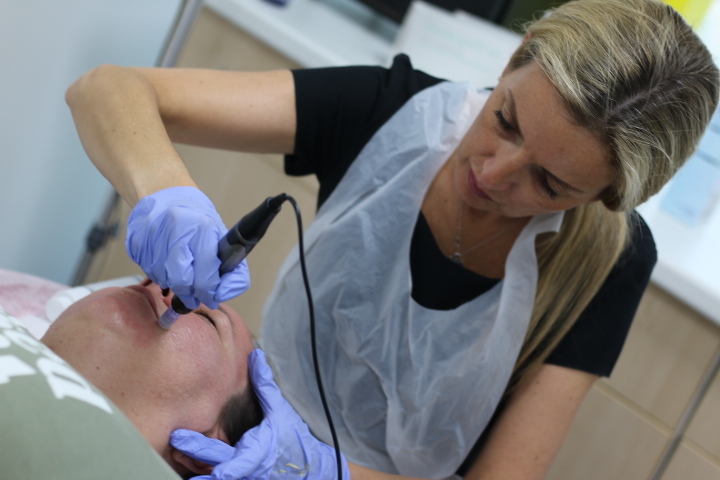 Microneedling is the perfect solution for various different skin issues. Tiny micro-needles are rolled over the skin section by section using a Dermapen, slightly puncturing the skin, encouraging the skin the slowly repairs itself naturally and restore essential nutrients. The stimulation of collagen is one of the primary benefits of Microneedling. After the skin is pricked with tiny needles, the dermis is then encouraged to reproduce collagen, which restores elasticity and smooths the texture of the skin. 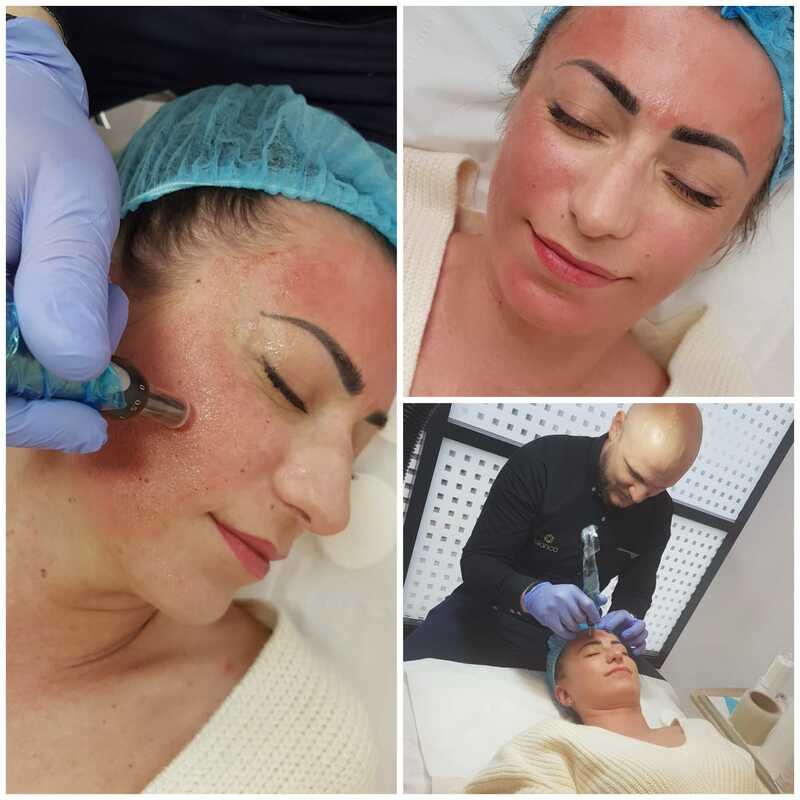 Microneedling is widely used to dramatically decrease the appearance of scarring, in particularly, acne scarring, and also stretch marks due to its repairing qualities. It is likely to take a course of sessions, spread evenly apart, to achieve maximum results. 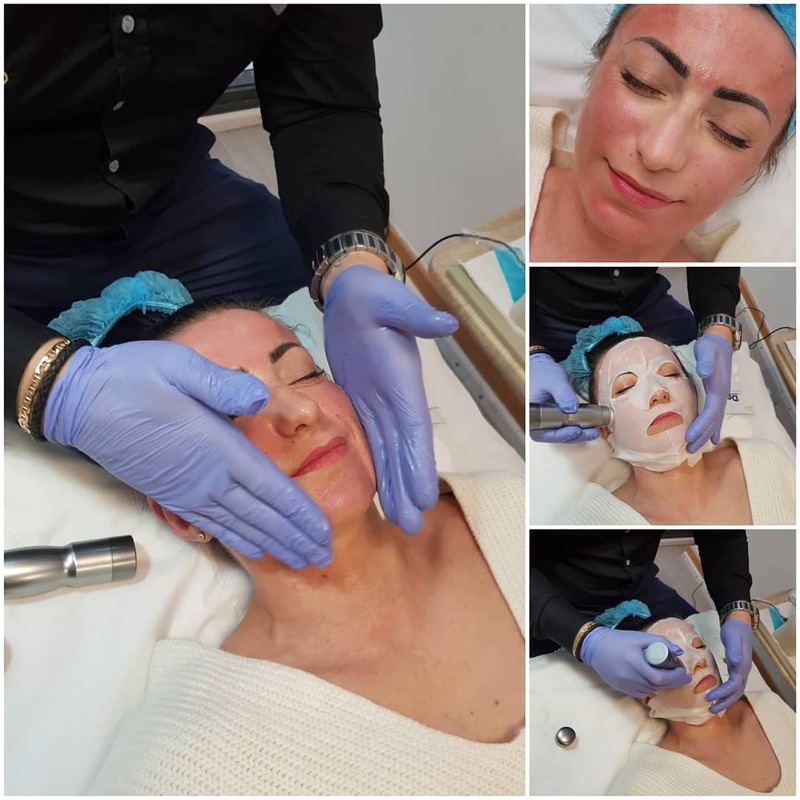 Prominent signs of ageing such as wrinkles and fine lines can be noticeably decreased through Microneedling as once the skin starts producing more collagen, it will start to regain elasticity and plump to smooth out these issues. Microneedling is a perfect option if you are finding that products such as moisturisers, face masks and serums are struggling to be absorbed by your skin. Once tiny punctures are made in the skin, the nourishing ingredients within products will sink deeply into the skin, maximising results. We pride ourselves in achieving the very best results through our treatments. Regular training is carried out by all members of the team so we can guarantee both safe and effective services. You will be likely to experience some redness immediately after your appointment, but this should slowly disappear within a few hours meaning you can continue with your daily plans after your appointment. Can only the face be treated? No, the huge advantage to Microneedling is that it can be used on any problem area on any part of the body. Some people even use Microneedling on the scalp to encourage hair growth. Can you see results straight after your first session? Yes, your skin will immediately seem plumper and more radiant, with a natural glow. It often takes around 6 weeks to see full effects, for example, if you are looking to reduce wrinkles or the appearance of a scar. It is more than likely that your practitioner will apply a numbing cream to your problem area before starting the treatment to minimise pain as much as possible. You may experience a slight discomfort at first, but you will get used to the sensation almost immediately. The number of sessions required depends on the size of your problem area and the issue you wish to treat. If you are seeking simply a rejuvenation, you could get away with just one session. However, if you want a scar, stretch marks or signs of ageing, we usually estimate around 3-6 full sessions. Are there any aftercare recommendations? Similarly to Dermaplanning, it is always recommended to apply extra SPF to protect your skin after Microneedling. Try to also avoid intense activities that cause your skin to sweat or become inflamed, for example, going to the gym. "I had suffered quite bad with acne as a teenager, which although is now under control, has left me with lots of scarring which is proving tricky to cover with makeup. 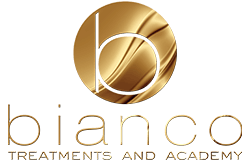 I’d been to Bianco Beauty in the past for other treatments and always received an outstanding level of customer service and equally as amazing results, so I knew I was in safe hands! After four microneedling treatments, I couldn’t believe how much of a noticeable difference I could see, I wish I’d booked in sooner!"